I hope this holiday season is finding everyone well and in the spirit. Things have been fairly quiet on the blog front here, but that's not to say that I haven't been steadily occupying my time with good anime or reading. Mostly, I've been trying to catch up on my One Piece, but I'm also halfway through The Count of Monte Cristo and I'm greatly enjoying it. It is a read that takes quite a bit of time, but it is time worth putting into the novel. I'll review the novel on my other blog, but if you haven't read the novel then I highly recommend it. Specifically, the Robin Buss translation from Penguin. Now that I've had my say on that I'd like to get the ball rolling with some 2014 anime. 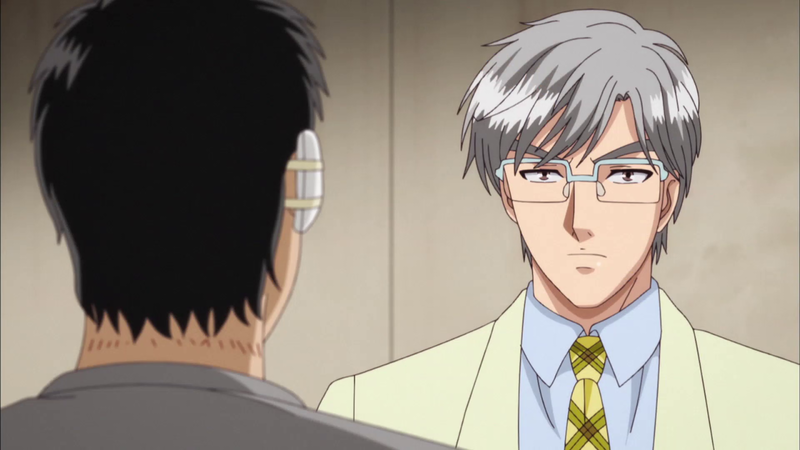 The Files of Young Kindaichi Returns is a sequel to an older anime, but this one is updated with things like cell phones and tablets and is much shorter at only 25 episodes. The original series spanned 148 episodes and ended its run in 2000. Slight difference. I have never seen the original anime, but I do know the original anime is frequently mentioned alongside the popular and long-running anime Case Closed because they are both whodunits and there just aren't a lot of those. 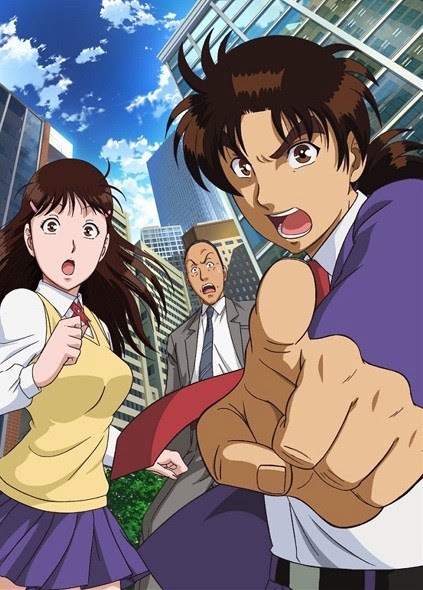 Case Closed and its astonishing 700+ episodes is probably the clear favorite, but don't count out Kindaichi. Both shows will get your whodunit fix cured. Kindaichi Returns is comprised of a series of short arcs that can mostly be viewed independently of the other. The first series was the same way, I believe. You don't even need to watch the first series to enjoy this one although you'll miss out on the familiarity with the likes of some of the characters and some of the recurring villains. Since the short arcs are more about the mysteries than characterization and an overall story development none of the core four or five characters will be given a lot of depth. Basically, you're expected to know who all of the main characters are and some of the villains like the Puppeteer from Hell and the Gentleman Thief. If you don't then hopefully you'll catch on quickly. I managed pretty well going into this series blind. The arcs are good, though. Murder at 10,000 Meters reminded me of The High and the Mighty and those Airport movies. It might be easy to poke fun at, but I think those types of stories can be fun, too. 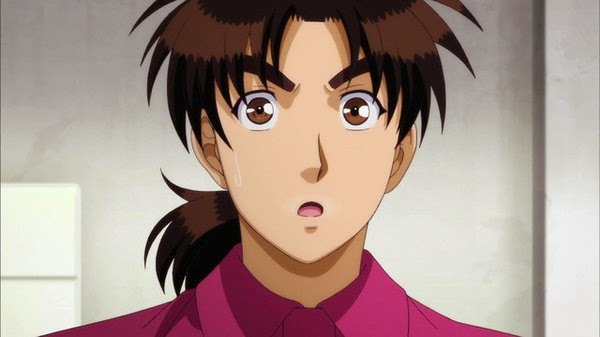 When the captain of their plane is found dead in the cockpit it's up to Kindaichi and Police Superintendent Akechi Kengo to figure out how he could have died and whether or not those terrorist threats made earlier in the day have anything to do with it. Of course, this arc is only two episodes and doesn't compare to the four-part Alchemy Murder Case or the five-part The Prison Prep School Murder Case. The arcs are designed to get the audience involved in the mysteries and you are prompted to try and figure out the answers before Kindaichi. Locked room mysteries and airtight alibis are prevalent in this series and even in the shorter arcs the answers were more often than not pretty good. Although the longer arcs were better if only because they could add more twists and red herrings to make things more interesting. Some of the mysteries are really ingenious, too. It was easier to figure out who might have done it then how they did it. The bad guys in this series, for the most part, weren't actually bad guys in terms of just being cold and ruthless. The bad guys were fairly sympathetic and it was tough to hate them despite their heinous crimes. Which could be really heinous. The Kenmochi Isuma, Murderer arc was certainly a tough watch, at times making me think of Jack Ketchum's The Girl Next Door. Stories about child abuse just really piss me off, but I found myself at odds with myself when policeman Kenmochi was suspected of killing a group of torturers after they got out of prison with a slap on the wrist from a crime that took place three years earlier and ended in the death of a seventeen year old girl. That was definitely something I wasn't expecting from this show. I wanted him to be the killer of those assholes, but then I didn't because that would mean becoming a vigilante. Nothing in this anime was gruesome exactly, but the writing was very good at implying grue and gore when needed. Mostly, this anime is meant in good fun, but it does remind you that people (albeit fictional people) are being killed for your enjoyment time and again like as in The Game Mansion Murder Case arc that serves as the finale to this series. It reminded me of Saw for a second although this was much more tame. All in all, I definitely enjoyed this whodunit and I'd like to explore the previous series when I get a chance. 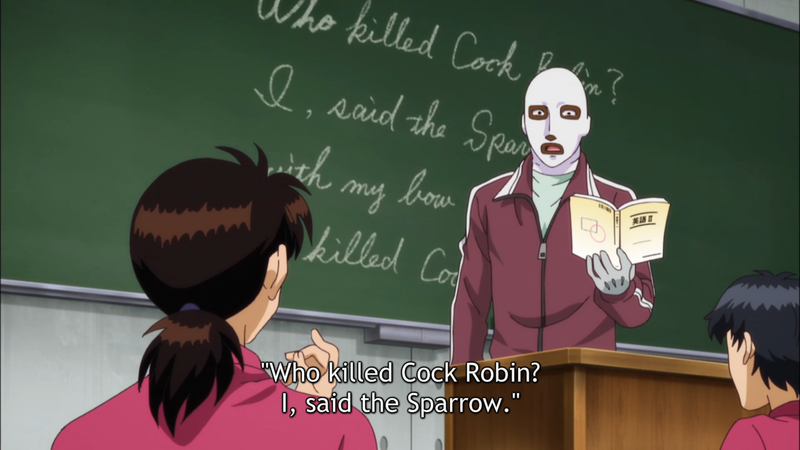 I would recommend this anime to anyone that likes a good mystery.